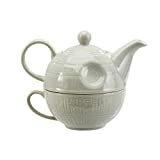 When you have the power to destroy a planet, it's probably a good idea to relax with a soothing cup of tea before making any rash decisions. 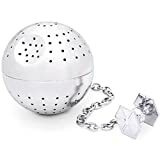 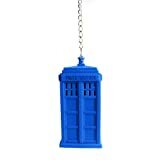 The cool new Star Wars Death Star Tea Infuser is a standard tea infuser shaped like the ones typically found in official Empire gift shops all around the galaxy. 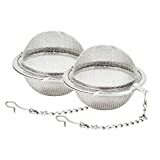 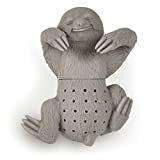 Just fill up the this intergalactic superweapon / stainless steel tea ball with your favorite Endorian loose leaf tea or Earthbound varieties, steep in a mug full of boiling water and then enjoy while you contemplate crushing all rebellions and bringing the galaxy to its knees.